An old joke says you don’t buy beer, you rent it, but the yellowish liquid in that ceramic bowl is no joke. Urine can offer telltale signs of what’s happening inside the body it’s departing. Depending on the color, urine can offer signs of everything from dehydration to infections to even certain cancers. So before you flush, it’s time for some urination education. We’ve got all your answers covered concerning the tint of your downstream flow. Find out what’s normal, what to look out for, and how the amount of water you drink can impact your health. Before we start talking about why your pee color matters and what you can do about it, it’s important to know a little bit about the urination process and what organs are involved. Blood is filtered through your kidneys, where waste, minerals, salts, sugars, and other chemical byproducts are removed. Some sugars are reabsorbed into the blood that remains in the kidneys. Everything else is given the ol’ heave-ho in the form of urine, which passes through your urinary tract and out the Slip ‘N Slide know as the urethra. Your personal plumbing system, aka the urinary tract, comprises four parts: the kidneys, ureters, bladder, and urethra. Urine passes from the kidneys, down through muscular tubes called ureters, and into the bladder. Think of the bladder as a holding tank for urine, where it sits waiting to be expelled through the urethra. What Color Is Ur(Ine) Rainbow? Your pee can tell quite a story about your health and hydration. It’s important to note that urine can temporarily change colors depending on what you are eating, how hydrated you are, and any medications you are taking. Although it’s rare, some medications and foods can make your urine look green, or even blue! Straw-Colored To Transparent-Yellow Pee: This is the normal urine color of a healthy, well-hydrated body. This is what it should look like. Transparent Or Clear Pee: You should always be properly hydrated, but you can actually drink too much water, which will make your urine virtually colorless. Overhydration for long periods of time can lead to serious complications. We will get to that later. Dark Yellow Pee: Still “normal”—but verging on signs of dehydration. You should probably start sipping water more regularly. Honey-Colored Pee: Time to up the water intake. This isn’t going to cut it. Maple-Syrup-Colored Pee: Uh-oh! This is could suggest severe dehydration or liver disease. Pink To Reddish-Colored Pee: If you’ve been noshing on red-pigmented foods like beets, rhubarb, or blueberries, then you’re probably fine. If not, you may have blood in your urine. This can be transitory, or it could be a sign of something more complicated: a urinary tract (UTI) or kidney infection; kidney stones or kidney disease; or cancer of the kidney, bladder or prostate. Of note, UTIs are far more common among women than men. Bottom line, don’t mess around if you see urine with a reddish hue. Visit your primary care physician or a urologist, stat, and get checked out. Foamy Or Fizzy Pee: If it only happens on occasion, then it’s just a cool hydraulic effect—you’ve got a good flow going. But if it happens every time you tinkle, it could indicate high protein in your urine, which you may need to get checked by your doctor. Clear Pee Has Got To Go! You’re likely getting the impression that water is a key player here, and you’re right. H2O keeps your organ system running like a well-oiled machine. The urinary tract is a prime beneficiary, but drinking water consistently also helps regulate your body temperature, clears your bowels, removes waste, and keeps your skin youthful. And that’s just a few of the perks! Although dehydration is a far greater concern than overhydration, some people actually drink far more water than they need to. 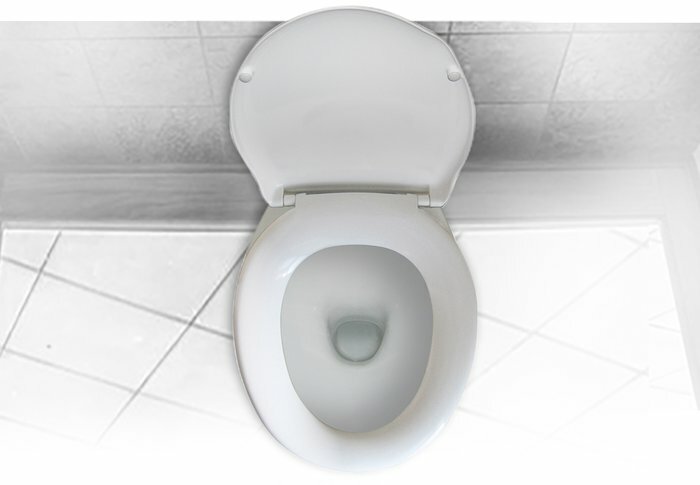 Normal, healthy pee actually has a yellow color from a pigment called urochrome. It’s true that the darker that yellow becomes, the less hydrated your body is. However, drinking so much water that your pee is clear can actually cause an imbalance in your electrolyte levels. Although dehydration is a far greater concern than overhydration, some people actually drink far more water than they need to. The disruption of the natural balance between water and sodium in your blood can lead to a blood intoxication known as hyponatremia. Hyponatremia is often associated with ultra-endurance sports that last more than three hours. Endurance athletes are at a greater risk because as they consume large amounts of water while losing sodium through sweat. This fluid overload without the replacement of sodium can lead to blood sodium concentration that falls below normal level. Even if you aren’t an endurance athlete, you can still be at risk for overhydration. Researchers note that hyponatremia is one of the most common electrolyte abnormalities. A good key to preventing overhydration is to sip—not gulp—water throughout the day, and to take in about half your body weight in ounces of water per day. For instance, a 140-pound woman should take in about 70 ounces of water per day. Dehydration occurs when you lose more body fluids than you are taking in. If your pee is looking a bit dark, increase your water intake. One of the easiest ways to make sure you’re getting enough water is to premeasure your water in the morning, and keep a full glass by your side throughout the day. Sip water at work, while you’re sitting at a stoplight, or during exercise. Once your glass (or bottle) is empty, fill it back up. Hypernatremia is severe dehydration and caused by the presence of excess sodium. This does not occur because of a high sodium intake (unless you drink a lot of sea water or soy sauce), but because of water deficiency. Hypernatremia is severe dehydration and caused by the presence of excess sodium. This does not occur because of a high sodium intake (unless you drink a lot of sea water or soy sauce), but because of water deficiency. You can lose a lot of water during long bouts of exercise, or with certain illnesses and medication. To treat mild to moderate dehydration, grab a sports drink that will rebalance your electrolytes and add sodium back into your system. Take extra precautions when working or training outside in hot weather or training in a facility without air conditioning.